Imagine that you're invited to a braai. You are nicely settled down with an impala steak or perhaps a potjiekos, but what do you drink with it? South Africans are known for being enthusiastic beer drinkers. They also produce some of the world's best wines (worthy of a whole encyclopedia on their own). But that's by no means the whole story. As with the country's food, South Africa's drinks have been influenced by the different cultures that have colonized through the years. Amarula Cream: a local cream liqueur, generally drunk after dinner. It's made from the fruit of the marula tree (Sclerocarya Birrea), a favorite of elephants, baboons and monkey who are said to get drunk and party as the rotting fruit ferments in the wild. Beer: South African beer is typically American-style. Castle lager is the runaway biggest seller of all, but local brewing giants, South African Breweries also produce Carling Black Label, Grolsch, and various other brands. Lion lager and Namibian Windhoek lager are also popular. Mahewu/mechow/umqombothi: with different names in all the different local languages, traditional African beer is made from mashed up maize or sorghum, malt, yeast, and water. It is thick, heavy, creamy, slightly gritty, slightly sour, with a relatively low alcohol content. Traditionally it was made by the women and drunk almost immediately. In the old-style beer halls, it came by the bucketload. These days, you can also buy it in cartons - look for Joburg Beer. It is considerably cheaper than Western-style 'clear' beers. Dop (dawp): general Afrikaans term for any alcoholic drink: "Would you like a dop?" Mampoer (mum-poo-er)/witblitz (vit-blitts, literally 'white lightning'): Powerful homemade brandy/firewater, similar to American moonshine, made from a range of different fruits. Astonishingly, it is usually God-fearing Afrikaans housewives who are responsible for this lethal brew. Tackle it sparingly. Van der Hum liqueur: this wonderfully aromatic liqueur is a blend of brandy, wine, naartje (mandarin oranges/satsumas) peel and spices. It was distilled here for centuries by housewives before it was bottled officially. It is named after Admiral Van der Hum of the Dutch East India Company fleet who is said to have been 'fond of it to the point of distraction'. Wine: Jan van Riebeeck, the Dutch founder of the Cape colony, produced the first recorded wine way back in 1659. The first French Huguenots arrived 20 years later and from that moment on, South African wines began to make their mark on the world. Constantia wine was a favorite at the Georgian court in England, mentioned by Jane Austen. Fine wines are given a WO (Wine of Origin) label, with around 60 districts. It is impossible to go into detail here - but there are a few local specialties to look out for. Hanepoot (haa-nah-poort) - a sweet wine made from the muscat blanc d'Alexandrie grape. Pinotage (pee-no-targe) - found only in South Africa, this red varietal is a cross between the pinot noir and cinsaut (hermitage), producing distinctively rich, earthy, smoky wines. Winery names that are making the news at the moment include Meerlust, Kanenkop, Veenwouden, Hamilton Russell, Klein Zalze, Vergelegen, and Morgenster. There are many other excellent wines and wineries in the country, however, so be guided locally. Amasi/maas (pronounced um-ah-see): a drink of thick soured milk, similar to yogurt and similarly said to be very good for the digestion. Traditionally it is unpasteurized and fermented in a calabash (gourd), but it is also now also sold in a pasteurized form. Amasi is the Zulu name, maas the Afrikaans. Cooldrink, colddrink: any soda, such as Coca-Cola or Fanta. Soda is reserved purely for club soda. Amongst local specialties, look out for Stoney's Ginger Beer and Schweppes Granadilla Twist (passion fruit) which are both delicious. Mageu/mahewu/amarhewu/amahewu: the non-alcoholic version of maheu, this is a thin drinking mealie meal (maize or sorghum) porridge. Traditionally made at home the night before drinking, it is also available commercially these days. Rock shandy: a local specialty that is a lovely thirst-quenching alternative to overly sweet sodas - half lemonade (eg Sprite), half soda water, with a dash of Angostura bitters (the 'pink' in pink gin), a slice of lemon and lots of ice. Rooibos (roy-boss): Afrikaans for red bush. 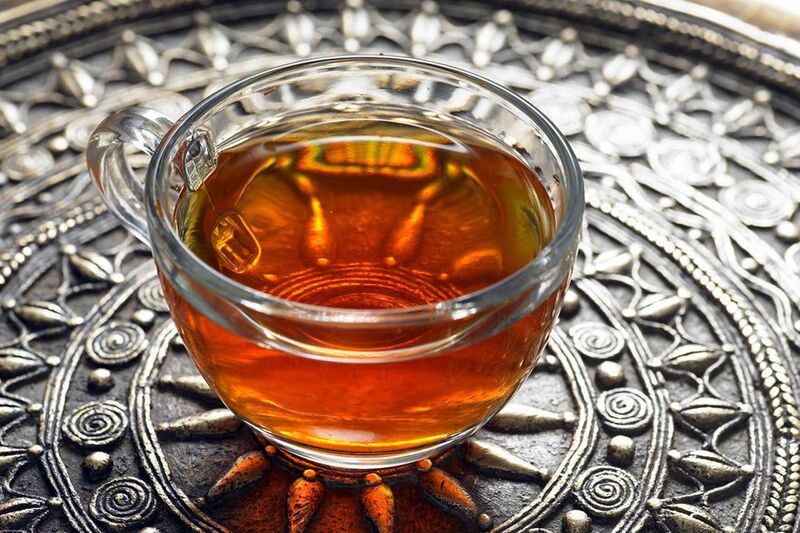 Now adopted across the world as a health drink, rooibos has been drunk as a tea in South Africa for generations, usually served black with lemon or honey. The Cyclopia genistoides bush is native to the Cederberg mountains of the Western Cape and is said to be caffeine-free, high in anti-oxidants with a very low tannin content.